New research shows that the recently reported unexpected behaviour on Saturn’s largest moon Titan is due to its unique atmospheric chemistry. Usually, the high altitude polar atmosphere in a planet’s winter hemisphere is warm because of sinking air being compressed and heated – similar to what happens in a bicycle pump. 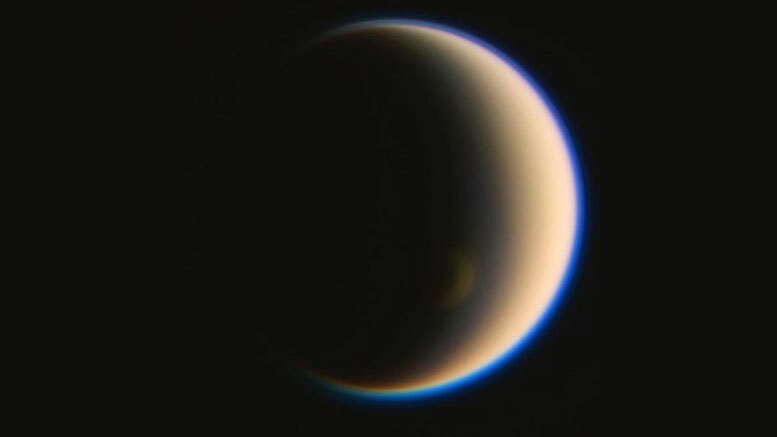 Be the first to comment on "New Details on the Unexpected Atmospheric Vortex Behavior on Titan"